At AJ-USA, Inc we are dedicated to delivering the highest quality parts and service at the best possible price for our customers. Since 1978, AJ-USA, Inc has been a leader in supplying both OEM and Performance Parts and Accessories for all cars, trucks, vans, SUVs, motorcycles, and watercrafts. This includes Bilstein B4 OE Replacement Shocks & Bilstein B8 5100 Performance Shocks! We have all the parts that you might need for your vehicle such as air filters, shocks, brakes, car covers and more! Our commitment to customer service is second to none and our goal is to provide the highest quality parts and exceptional service at the best prices in the business. We are proud authorized distributors of all of your favorite brands including: AEM, Airaid, Bilstein, Borla, Colgan Custom, Covercraft, DashMat, EBC Brakes, Edelbrock, Eibach, Gibson, Injen, Hawk, Husky Liners, JBA, Jet Perofrmance, K&N, LeBra, Magnaflow, Power Stop, Premier Floor Mats, Rigid Industries, Russell, StopTech, Volant and WeatherTech. 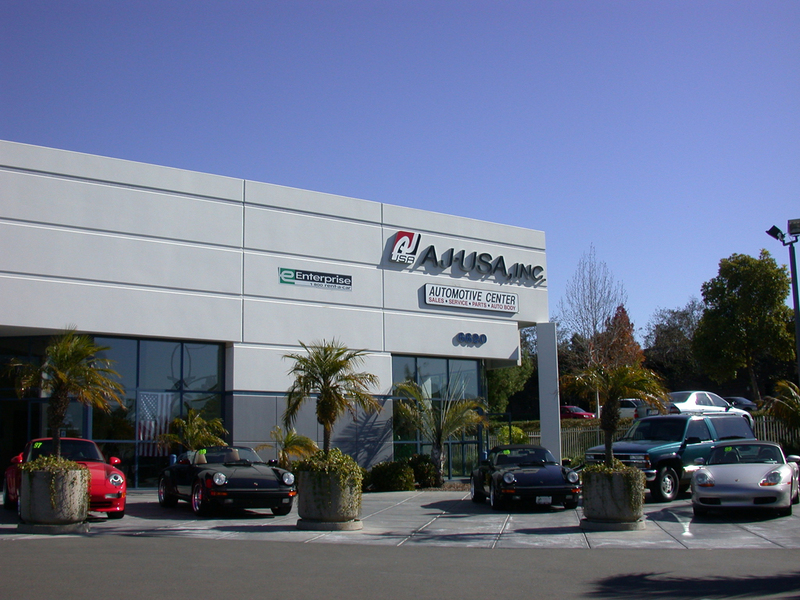 AJ-USA, Inc also has a full service department & collision center on site in San Diego available to install parts and assist with everyday vehicle needs. Give us a call today and our in-house experts will be happy to assist you with finding the perfect part for your performance or repair needs at the best possible prices.